Yesterday a bulk carrier arrived at the port of Rotterdam with a record shipment of pig iron: 50,000 tonnes. This marks the first time Carbones Holding GmbH, a major Austrian distributor of metal products, has put together and dispatched a shipment of this size in a single transport. This is one for the books! The pig iron will be stored by ZHD Stevedores before being distributed further throughout Europe. What is pig iron actually? 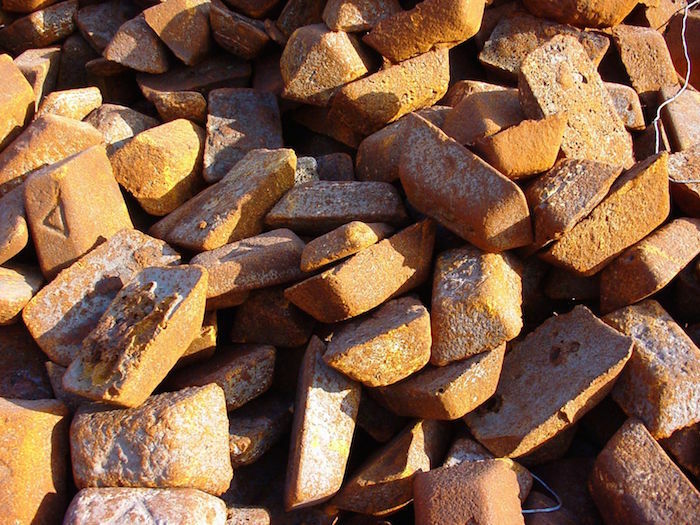 Pig iron, also known as crude iron, is iron that has been cast into ingots that measure approximately 10 cm by 10 cm. “They have a convex top, which means they look a bit like a cake that has just been taken out of the tin. Except they weigh 10 to 20 kilos a piece, which would be quite a heavy cake or bun,” says Dico Regoord, Sales Manager at ZHD Stevedores. The pig iron is shipped from Rio de Janeiro by the MV Yuanping Sea. This sea-going vessel is 200 metres long and 32 wide and has a draught of 12 metres. The ship loaded its cargo in the port of Rio de Janeiro, departing there on 3 October. After arriving off the coast of Hoek van Holland, the vessel will drop anchor and wait for a favourable tide. The ship will be guided by the Harbour Coordination Centre and the pilots to a set of reserved buoys in Botlek, where it will be secured by the linesmen. After this, it’s the turn of ZHD Stevedores, the stevedoring firm with local offices in Dordrecht and Moerdijk. The company’s floating cranes can also be found moving through the port of Rotterdam.